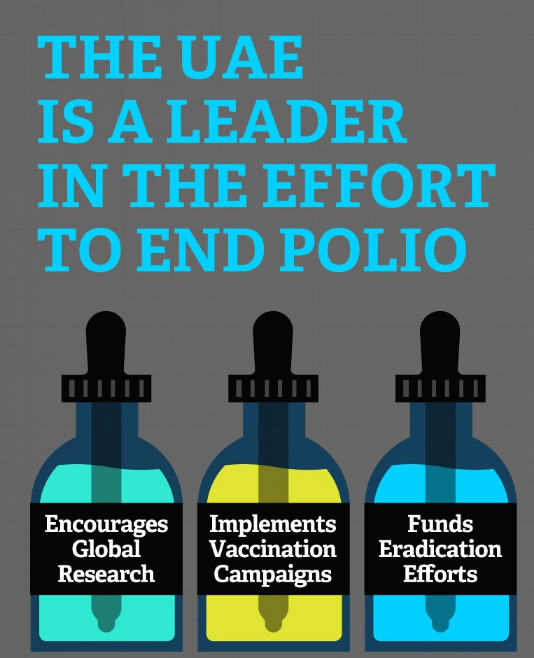 By encouraging global research, implementing vaccination campaigns, and funding eradication efforts, the United Arab Emirates (UAE) is a leader in the fight to end polio. Today, there are just three countries with ongoing wild poliovirus transmission—Pakistan, Afghanistan, and Nigeria—but a polio-free world is within reach. 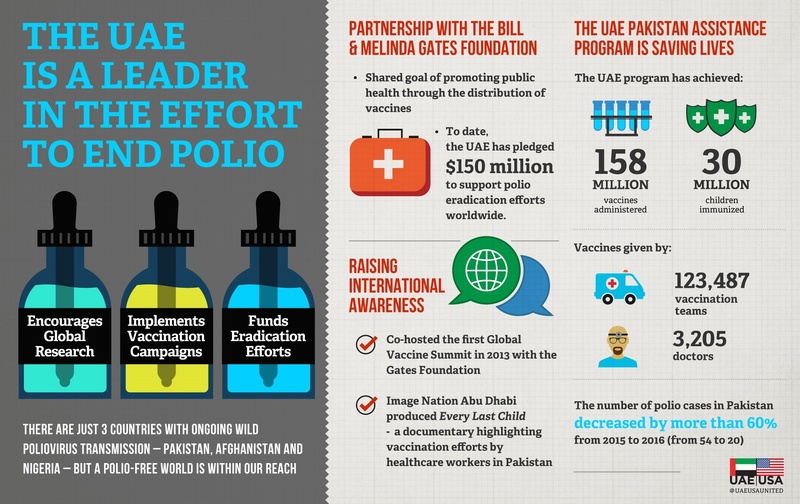 UAE & USA: United for a Better Future- The UAE has partnered with organizations like USAID and the Gates Foundation and has pledged $150 million in its effort to fight polio, raise international awareness and support polio eradication efforts across the globe. Through these strategic partnerships, the UAE is helping advance global public health. To date, the UAE Pakistan Assistance Program has administered over 158 million vaccines and has immunized more than 30 million children. In fact, the number of polio cases in Pakistan has decreased by more than 60% from 2015 to 2016.